Berzerk. Stay and play session for children with any disabliltiy age 0 to 12 years on second Tuesday of the month from 5 to 7 pm. Contact Polly Tel: 01604 647213. Butterflies. A group for families with children who have additional needs age 0 to 5 years, meeting monthly on a Wednesday at Parklands Children's Centre, Spinney Hill Road, Northampton NN2 6DW, from 9.15 to 11am. Run by Delia Baylie from Scope. For further details contact Parklands Children's Centre Tel: 01604 642118. Duston Children's Centre Sensory Room. For children with additional needs age 0 to 5 years, the sensory room provides a sensory experience to enhance a child's social skills and creative ideas, through exploring their differenct senses. The room is open every Tuesday from 1pm to 1.45 pm at Duston Library Children's Centre, Pendle Road, Duston NN5 6DT. Tel: 01604 752891 for more information. Fab Friday. A friendly and relaxed group for parents and carers who have a pre-school child with additional needs or developmental delay. Meets at Gloucester Nursery School , Camborne Close, Northampton on Fridays 10 am to 11.30 am. For more information contact Tel:01604 762251. Guideposts. Youth club for young people with additional needs aged 12 to 25. Meets Mondays from 7 to 9 pm at St James CEVA Primary School, Harlestone Road, Northampton NN5 7AG. For more information contact Trudi Daurie Tel: 07703677719. We welcome all parents/carers and family members to our groups. 9.30- 11.30am at Parklands Learning and Care Centre mobile by Parklands Primary School. We provide a free, safe environment for families with special needs children and their siblings. This give parents a chance to talk and get support with their problems from other who have faced a similar situation. Little Stars. A friendly and relaxed group for parents and carers who have a pre-school child with a special need or a developmental delay. Meets every Wednesday from 11.45am to 1pm during term time at Thorplands Children’s Centre, Farm Field Court, Thorplands, N’pton NN3 8AQ. For further details contact Maddie Adamson Tel: 01604 741131. Making Music. Music group for young children aged between 18 months and 4 years of age with special needs. Meets at Fairfields School on Thursday mornings from 10 am to 11 am and is open to children and their parents who would like to come to sing, play instruments and have fun with qualified music therapist Lynne Connor. For more information Tel: 01604 714777. Oakley Vale group. 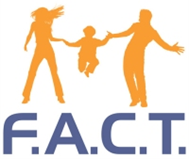 Support group for parents of disabled children. Meets at Oakley Vale Primary School, Cheltenham Road, Oakley Vale, Corby NN18 8RH on Thursdays, term time only, from 1.30 to 3pm. You don't need a child at the school to attend the group. For more details contact Tel: 01536 461199. Parents Befriending Group. Friendly group for all parents, grandparents and carers who have a disabled child. Meets Wednesdays from 10 am until noon at Beacon House, 15/17 London Road, Kettering NN16 0EF. Plenty of toys for pre-school children to play with. Contact Phyllis Tel: 01832 733042. The Rainbow Room. A sensory room for all the family, for disabled children and young people aged 0 to 18 years at Penrith Drive Children's Centre, Penrith Drive, Wellingborough. To book sessions call Tel: 01933 671700. The Sibs Forum. Do you have an adult brother or sister with Autism? The Autism Maturity Project has joined forces with Sibs, the UK charity representing the needs of siblings of disabled people, to provide a forum for the siblings of adults with autism. To join the forum go to: www.sibs.org.uk . Side by Side. This group provides an opportunity for families and all that are involved in caring for children/young adults with special needs to meet up in a friendly and caring environment, to pool their knowledge and support each other, for friendships and chat with others. Meets every third Thursday of the month at Wollaston Baptist Church, Hinwick Road, Wollaston NN29 7QX. For more information call Marie Pike on Tel: 01933 666074 or church office on Tel: 01933 663455. Pre-school children are welcome. Snowflakes - Wellingborough. For families and carers of children with special needs. Meet Mondays during term time from 9.30am. Meet Rowan Gate School, Finedon Road, Wellingborough, NN8 4NS. For more information ring 01933 304970. S.N.U.G. Group Is a support group for parents and carers of children (grown up or still young) with special needs. They meet on the first Wednesday of every month at Towcester Children's Centre, Islington Road, Towcester NN12 6AU from 9.30-11.30 am during term time. Call Lucy on Tel: 01327 354268 or Kim Tel: 01327 810052 for details. Sparkles (Incorporating the Ups and Down's Group). A stay and play session for children with additional needs aged 0 to 5 years. Adult carers/parents and siblings welcome. The group meets every Wednesday from 1 to 2.30pm, term time only, at the Penrith Drive Children's Centre, Penrith Drive, Wellingborough. For more details call Tel: 01933 671700. Special Adventure Club. This youth group meets on Wednesday evenings from 7 to 9 pm for those aged 12 to 19 years with a learning difficulty at Olympus Care, Oxford Street, Wellingborough. For more information contact Tel: 01604 366000. Spouses of Asperger Syndrome Persons (SASP). On the first Monday of every month, from 7.30pm to 9.00pm, a confidential support group meeting is held at the Action for Asperger's consulting rooms/offices - Lilford Lodge Farm, Barnwell, PE8 5SA. Please telephone Elaine on 0773 801506 to advise of your intention to attend ahead of actual attendance. A small donation for this service (iro £10-20) will be most gratefully received. Studfall Parents Group. Parent Support group for families of children with ASD. Meets at 9.15 am on first Wednesday of the month at Studfall School, Rowlett Road, Corby, term time only. Further information from Jan Meers Tel: 01536 772130. Thornton Children's Centre Sensory Room. A new sensory room providing an ideal environment for children with additional needs to explore and experiment and develop their senses using specialist equipment. Bookings for half hour sessions between 1.30 and 3.30pm are available on Fridays. The sensory room is at the Thornton Sure Start Children's Centre, 1 Goode Court, Kettering NN15 5FG. For more information contact Tel: 01536 417680. Time Out Sessions. For children with additional needs a stay and play session at Hullabaloo on the first Wednesday of every month (excluding school holidays) from 9.30am to 11am. For all children, regardless of needs, from babies to 11 years with their parent or carer. For further details contact Tel:01604 595530 or www.hullabaloo-play.co.uk . Titans. Youth group for those aged 12 to 25 years on Monday evenings fro 6.30 to 8.30pm at the Woodnewton Centre in Corby. 6AU. Sensory room which is ideal for babies and children with sensory impairment and/or additional needs. Families are welcome to use on an individual basis. To book a session call Tel: 01327 350272. Twinkling Stars Sensory Group. Offers a multi-sensory experience for children with additional needs and their parents and carers to explore together. Meets on Monday from 1.30 to 3pm at Ronald Tree Nursery School and Children's Centre, Laburnum Crescent, Kettering NN16 9PH. For further information contact Sue Round Tel:01536 514240 or 07507 195866. Wellingborough Coffee Morning. Support group for parents with children who have ADHD/ASD, at Olympic Primary School, Olympic Way, Wellingborough NN8 3QA. Meetings are monthly from 9.30 to 11.30 am : Resuming after the holidays on Tuesday 10th September. For further details contact Kim Pullen Tel: 01933 786610 or 07738 786610. WKD (William Knibb Disability). Youth group for those aged 19 to 25 years on Thursday evenings from 7 to 9pm at the William Knibb Centre, Kettering. Woodford Halse Sure Start Centre. Monthly support group for parents/carers of children with special needs. Meets monthly, every first Wednesday of the month from 10am to 11am at Weedon Bec Primary School, West Street, Weedon NN7 4QU. For more details contact Chris Batchelor Tel: 01327 264809. Second Wednesday of the month excluding school holidays and December.